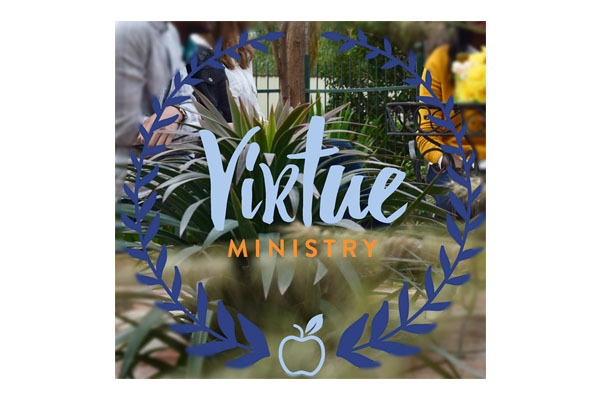 Virtue Ministry is a fresh approach to ministry that encourages young people to identify and embrace their unique capacity and unleash it on the world. Virtue Ministry was launched as a Christian initiative with a mission to guide people into discovering who they were distinctively made to be. So that, in becoming the very person no one can ever repeat, they will move the world with authentic love. This is made possible through self-knowledge and character development, healthy relationships, prayer, practice and life style. Striking a chord between current culture and human experience, the team challenge young people to delve deeper into their identity and strengthen their foundation. In striving for virtue, habitual goodness, young people will become free to be the future movers and shakers of the world. In a world that focuses on "recognised success", Virtue Ministry re‐adjusts the lens to demonstrate individuality as a powerful means of joy and growth when directed towards doing good and doing it habitually, for one’s own sake and for others. Have a closer look at how we came about and what we stand for. The talks and workshops are packed with real life scenarios that are relatable and give practical tips towards living a holistic life of habitual goodness that in turn positively impacts every aspect of our lives. They are designed to explore participant’s unique characteristics, and to discover their potential. With a dash of humour they cover various aspects of relationships including, pressures and expectations, cultural influence and communication with a focus on growth and attainable, authentic relationships. 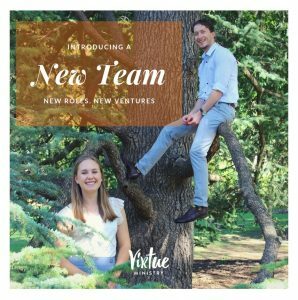 After sharing VM’s message, our experience has been a room that has been brimming with curiosity, joy filled laughter, reflective words and even tears, where people have found their worth & courage to finally strive to become who they were made to be. Now you can find out what some of the people who have heard Virtue Ministry’s message have to say. I am so proud of Stina and everyone involved at Virtue Ministry! Virtue can feel like a lost word in our world today, and yet it holds so many answers! To have a movement in Australia dedicated to helping people strive for and live out virtue…we are so blessed! All of Australia, be sure to check this out!